On 23rd August 1927 american government have executed two immigrants from Italy Nicola Sacco and Bartolomeo Vanzetti who were convicted of murdering a guard and a paymaster during the armed robbery of the Slater and Morrill Shoe Company. 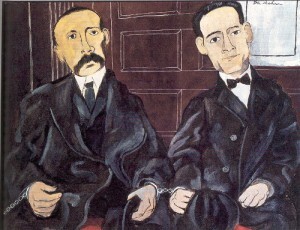 With the lack of evidence the main part of the trial was made around the italian background of those people and their political believes: Sacco and Vanzetti were anarchists dedicating their life to the struggle against the state. Since the rule of trial many researches were made that proved the innocence of two, however up till now the american government didn’t admit the political core of the prosecution. 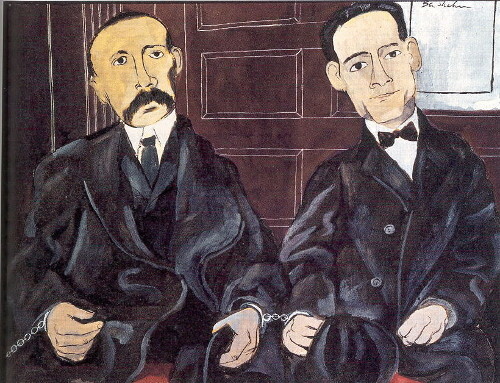 The documentary “Sacco and Vanzetti” is showing apart from the trial also political and social sides of the case. The movie allows us to have a deaper look into the american society of beginning of the previous century with a focus on rascism towards immigrants, which become a serious issue for the modern day Europe. After the screening we will have a discussion round and share our thoughts about the topics presented in the movie.